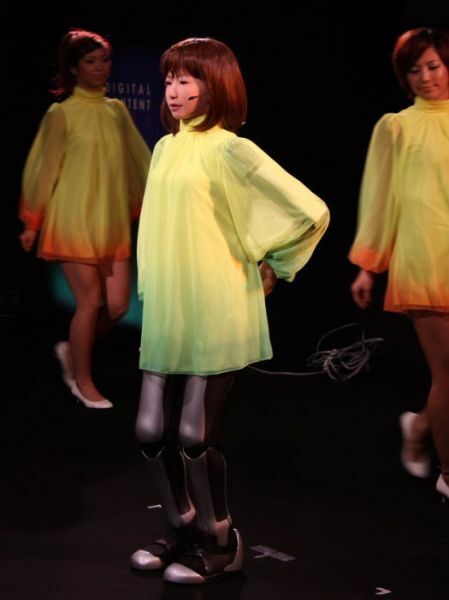 This dancing girl is actually a cybernetic human girl. She is really a good dancer and appears to be very friendly. From the waist up it is difficult to tell that she isn’t real. I wonder how good of a conversationalist she is. And in related news, the Japanese turned it into a sexbot. From the waist up, who cares? Put a bag over their head and they all look the same. From the waist down you have underwear, and the only thing that matters about underwear is whether there is a girl in it. And this is not a girl.